You know what makes PEXSF great? Theme Camps. 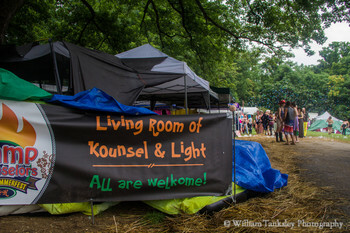 Also the amazing community, art, talent, freedom, acceptance, love, music, ArtCabins, experiments, support….. But mostly, Theme Camps! If you and your friends are: 1) Awesome 2) Like to create awesome things 3) Want to challenge your awesomeness to reach new unfathomable levels: The consider creating a Theme Camp at PEXSF! Is this post too long? NAH! Apply HERE before May 15th! THEME CAMP? ART INSTALLATION? A CABIN? YES! Did you know that YOU (Yes. YOU!!) 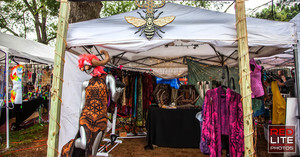 could create something magically experiential and reside on the luxurious Art Cabin Row at PEX Summer Festival this year??? Jump on this, Fam! Be a part of the experience!! Very few left. Apply HERE before May 15th!!! If you are interested in applying for food or merchandise vending, you can learn more about it on our website. It's that time of the year again to start planning for the Summer! If you are interested in being a ranger at PEX Summer Festival, fill out the form below and we’ll contact you! There are 11 spots available. All Black Rock Rangers and prospective Rangers go through a mandatory training session once each year. These trainings are offered on various weekends at about 30 locations across the United States and Canada between May and August. Trainings consist of a combination of lectures, discussions, activities, and scenarios covering topics such as communications, conflict resolution, radio usage, and other skills that will give you the basics you’ll need to be a Ranger. If you have never Rangered before, or have Rangered only one year on playa, and want to be a BRC Ranger, you will need to take the full training, which lasts from 10 am to 5 pm. If you are a veteran Ranger (i.e., you’ve Rangered two or more years on playa) you will need to attend just the afternoon session, which begins at 1:30 pm. We start promptly at 10 am (1:30 pm for veterans) so please arrive 20-30 minutes early so you’re ready to go. We especially encourage veterans to show up early so they can have lunch with newer Rangers. Auditions for the Russian Roulette Variety Show 2016 are now open until May 10th! 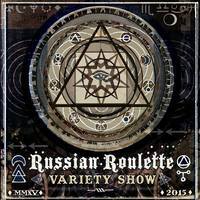 The Russian Roulette Variety Show is part of a PEX tradition of stellar performance art, utilizing a traveling sideshow style framework to highlight the incredible talent that our community has to offer. We cordially invite you to audition to participate in a delicious evening of carnival alchemy, dance, fire, magic, and more! Follow the link to the audition page and for any questions, please contact Jex or Xtiina via RussianRouletteShow@gmail.com. Do you dare take your chance at the wheel?